Today we had a math test and it was NOT excited. Last year we had a big screen but this year round we got to do it on our netbooks and did it two time. But I bet I was nervous then the all the other kids, but once your was in the test you can't get out. 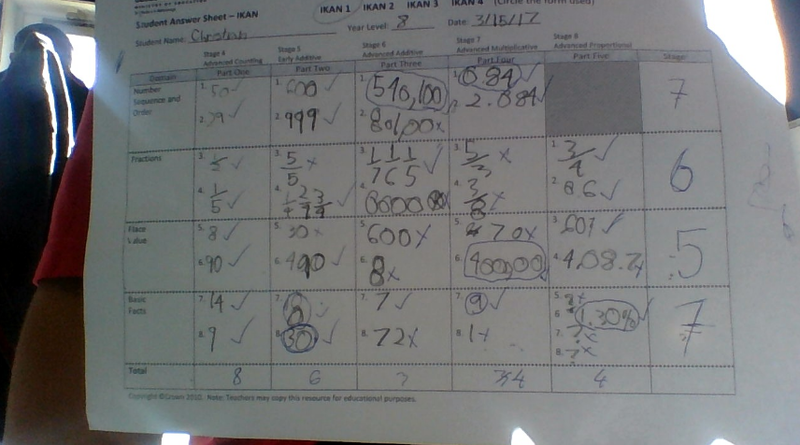 Miss tele'a helped us to mark our test, but guess what, I improved. I Had some good scores, seven was the best score I had. I felt comfortable we I found out what happen out now I know what I need to work on.